Interested in hearing more? Request information! Sign-up using the form or call us at 541-928-1010 to get more information about our practice. Come in and see us at 1117 Pacific Blvd SE. 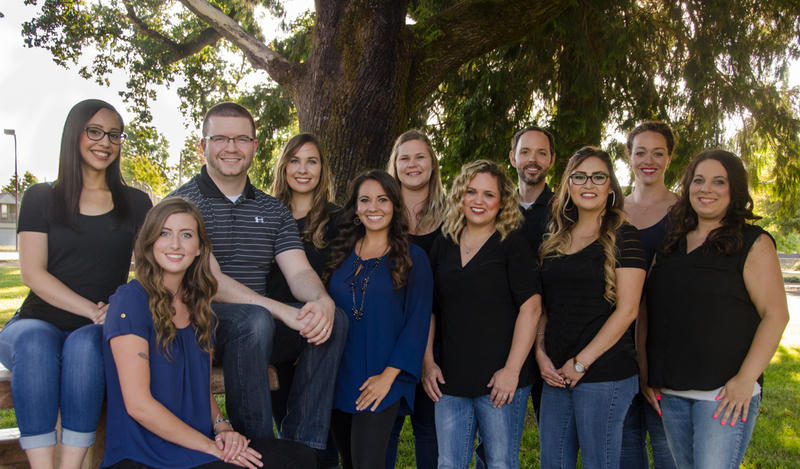 Located on Pacific Blvd in Albany, Oregon, the health care team at Advanced Chiropractic is dedicated to helping you achieve your health goals. Dr. Kevin Ross and Dr. Brandy Careri are committed to bringing you better health and a better way of life by teaching and practicing the principles of chiropractic care. If pain, immobility, or an old injury prevents you from living your life the way you to, please give us a chance to help! Patients seeking treatment at Advanced Chiropractic are assured of receiving quality care through skillful application of different types of treatment. Our health care team is also receptive to patient input! Dr. Kevin M. Ross is a Portland native, having lived in Oregon all of his life. As both a patient and a physician, Dr. Ross utilizes chiropractic care in addressing everything from acute injury, to long term pains, to chronic ailments. Having back and neck pain at the early age of 10 and onward, Dr. Ross found significant relief from chiropractic treatment. After sustaining a disc herniation and recovering with a combination of chiropractic, physical therapy, acupuncture and manual traction, he has seen that many health care professions can bring something to the table for many different ailments. Dr. Ross tries to keep the work environment fun, seen in the treatment rooms with the rest of the staff. He has assisted in teaching orthopedics and adjusting classes at the chiropractic school he graduated from, and enjoys keeping an informative and teaching style present in his chiropractic practice. ""I was really glad to have found this office. I had a lot of back pain and they got me in quickly. The treatment applied by Dr. Ross gave me immediate relief - much more than I would have expected. The office is easy to get to and has plenty of parking. The staff was also very friendly and helpful."" "Really life.changing as I can live without pain now. I always thought I was just getting old and nothing could be done"
"Great staff and Chiropractor. Will definitely be back." "I have been to Dr. Ross for care for various symptoms and each time he has immediately and accurately diagnosed my conditions. He not only treated each of the conditions successfully, he explained the likely cause, as well as some home care that would benefit and/or prevent the symptoms in the future. I have not only left the office, each time, feeling much better, but learned what caused the symptoms in the first place, and how possibly to avoid any problems in the future. In addition to Dr. Ross, the staff at Advanced Chiropractic is friendly and professional." "What a pleasant surprise. I was visiting the area & needed an adjustment & was able to get in and being a new patient same day! The staff was such a pleasure & the Doctor was very good. So good that I didn't need to return. Fixed my issues. Thank you everyone for making my experience positive." "Love everyone and everything about this clinic!"